Open source software was first conceived as a concept in the late 90s, and had the great merit of being described as a really dangerous idea. It was 'a cancer' on the economy, something that was going to destroy the world of software technology, notes Simon Phipps, former president of the Open Source initiative (OSI), who discussed the business value of open source at WSO2Con EU 2015 held June 1-3 in London. Flash forward to today - open source is the default; 78% of businesses are now operating on open source software. Phipps quoted another interesting fact - more than 50% of businesses state that they find the open source option more secure than proprietary software. The reason? Everyone is looking at the source code and using it, and what everyone uses, everyone is interested in safeguarding. Most importantly, 88% of businesses say that they will contribute to open source sometime in the next three years. Phipps added that given the current trend, enterprises today who haven’t embraced open source software yet have to quickly play catchup. "78% of businesses are now operating on open source software; more than 50% find open source to be more secure than proprietary software"
Open source software is driving the Internet today - it's driving devices as well as consumer and business experiences. People are using open source for mission-critical tasks, employing staff to work on it, and collaborating with the community to keep the software current. Phipps notes that the simple reason is because open source software has an inherent business value. 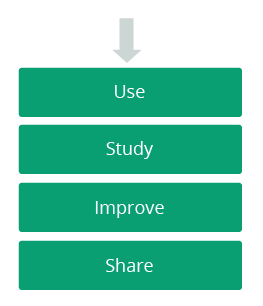 This value arises from a set of 4 principles, or 4 'freedoms'; the freedom to use it, study it, improve it, and share it. As the code evolves continuously and constantly, so does the software quality. "Open source software has an inherent business value"
By making open source the foundation of a business, an enterprise can remove barriers that encourage innovation and entrepreneurialism. All permissions required to deploy, run, migrate, collaborate, and mostly innovate, have been provided in advance. New technologies thrive in the highly scalable and flexible environment nurtured by open source. Cloud computing lends itself naturally to open source, where scaling, spinning up new instances, and running in a vast array of environments are inhibited by license management and fee structures out of sync with this new reality. Phipps notes that the Internet of Things (IoT) is a similar environment where the qualities of open source will be essential. He adds that neither of these technologies will be able to survive on multiple vendor-driven proprietary software, while growing at the rate they have to date. The Open Source Initiative (OSI) is a global nonprofit focused on promoting and protecting open source software, development, and communities. OSI has evaluated and approved a variety of open source licenses (including copyleft ones. Every OSI Approved License guarantees you the freedom to use the software for any purpose). By using software that adheres to this definition, your organization can be prototypeled instead of specification-led in deployment. Being prototype-led allows you to have solutions that are a much better fit for your business problems because your prototype will show you the places where your thinking is wrong. Of course your production version will also show you the places where your thinking is wrong, but by then it's too expensive to fix and so you have to pretend that you meant it to be that way. With open source software, however, you can afford to do a prototype-led solution and fail early. The secret of success in ICT is failing as early as possible preferably before anyone notices, and open source software lets you be prototype-led and fail early and change readily. "Open source software lets you be prototype-led and fail early and change readily"
There's a rich marketplace for open source software out there, there are no barriers to innovation, and most importantly there is a built-in escrow. If your vendor chooses to change direction you can simply find a different supplier to keep the same software running. If it's important enough to you to continue to pay a premium for service support and development, somebody will step up to the mark and carry on doing it, and while that is challenging for the vendors who follow an open source path it is a significant benefit for users. Open source software also arises from a community enabling ethic, and that is one that allows new people with new ideas to come in and contribute to the software. This environment where permission is granted in advance is key. If we didn't know better, we would pay extra for open source software. It gives you control over your budget, and it delivers you an energizing flexibility and liberty for implementers and architects. Community is a very important concept behind open source. Open source software originally was simply an alternative approach for a community of people to come together and be able to collaborate around the core of software. Community is probably the most important part of your cost-saving strategy for your ICT infrastructure, and if you contribute then you will remain flexible. If you fail to contribute, then you’re going to have to always be beholden to some extent to those who do. "Open source gives you control over your budget, and offer flexibility and liberty for implementers and architects"
In the broader scope of things, Phipps says the hype around open source boils down to one thing – empowerment. It's not just about long-term financial savings for your organization. Open Source empowers the CxO in giving back control over budgets and of the overall architecture, he notes. It empowers and enables the developer with freedom of choice and empowers the business with limitless possibility to expand. He adds that everything that gives your business control of its own infrastructure is a result of software freedom. 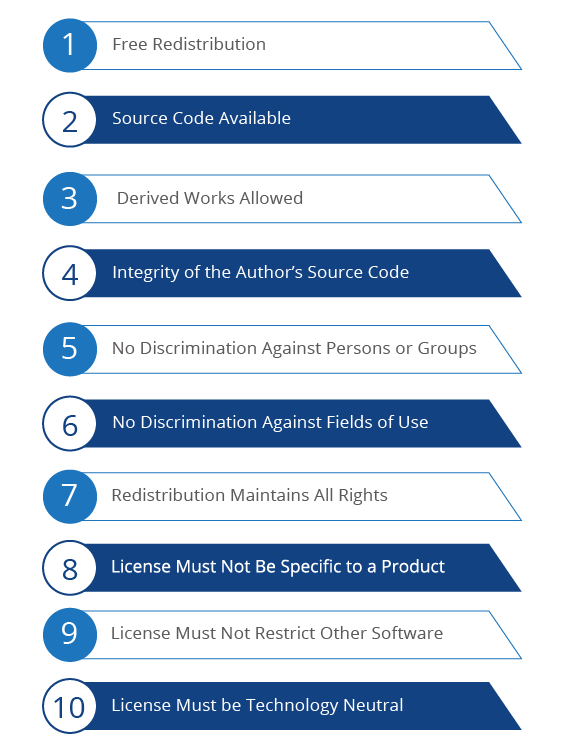 All WSO2 products are licensed under the OSI approved Apache Software License. This means you already have permission to deploy this software and innovate with it. In other words, it lets you run the show. For more details view recording of Simon Phipps’ WSO2Con EU 2016 keynote talk. You might also be interested in our white paper - Connect the World - that provides a definitive guide for your enterprise architecture needs with actual customer use cases.